GTD: Shannon, how many summers have you trained in Coach Braz's program? What got you started doing it? Shannon: This summer was my 6th session training with Coach Braz's program. It's crazy how time flies, I started this program the summer going into my freshman year with my heart set on varsity. GTD: You're a soccer player. How does the program help you? Shannon: What I've taken from this program is a workout that is designed to replicate soccer fitness or all sports such as, field hockey and lacrosse. The program targets heart rates for certain amounts of time similar to the sport, thus preparing us for the endurance needed for the sport. Coach Braz always has ladders, cones, mini hurdles, a field and a track ready for us to work out on and at the end of each session we would use bands and regular hurdles to stretch and work on flexibility. It helped to prevent injuries, it really helped a lot. GTD: How do you keep your focus during the drills? GTD: How do you handle nutrition on Braz camp mornings? It's the heat of summer, you're starting at 9am and you have 90 intense minutes of work. Shannon: I drink lots of water leading up to each session and I usually will have a LaraBar before practice. After practice I use Ultima (electrolyte replenisher) in my water and I make some eggs and toast. GTD: What's ahead for the fall soccer season? 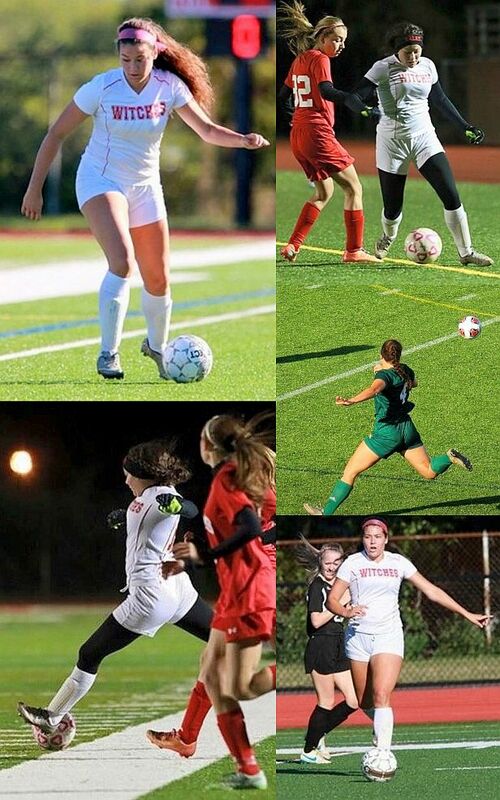 Shannon: I will be playing in my second soccer season at Fitchburg State University. Towards the end of the Fall, most likely winter, I am looking to have surgery on my right hip for a labrum tear. I've trained with this for years un-diagnosed until before going into college I had an MRI done and I was told my cartilage was basically detached from my hip which causes me pain but I have been managing it with my workouts and physical therapy. I am very excited to get back on the field with the rest of my team. GTD: Long range plans after college? Shannon: After college I plan on either policing or law school, maybe both! I am currently in a 5-year Criminal Justice-Police Concentration program, where I will receive my Masters and will have finished the police academy by 2022. I'm not sure where this path will bring me but for sure it will be in law and I hope to make a positive impact in any way I can.